Well, it has been a busy couple of days. Hence the lack of updating and writing on this little web site. Sorry for this. In fact, I didn’t even get on the computer on Friday! I know – terrible. Friday was taken over with racing. Just as it should be for a bike racer. We set off early on Friday with hopes of avoiding the rush hour and making it through the ridiculously slow winter driving… Neither happened. But we still made it to the Scheldecross race venue with plenty of time to land a solid parking spot and to get in a few laps. I really wasn’t too excited about the race this year. A big hill was added. This introduced two descents that I was not jazzed about. But Marc is a smart and patient man. He took me out and got me down the descents on my first try! A massive win and breakthrough for me. The race? Well it went okay. Could have and should have been better. But I’m considering it to be a win for me. I crossed a major hurdle on Friday. I’m not a fan of unstable, fast, or “scary” descents. They are my nemesis. But I beat this fear back with a big stick and came out on top. Some races, this is all I can ask for. After the race we hooked up with Ken and Karl Hoppner of Ottawa. 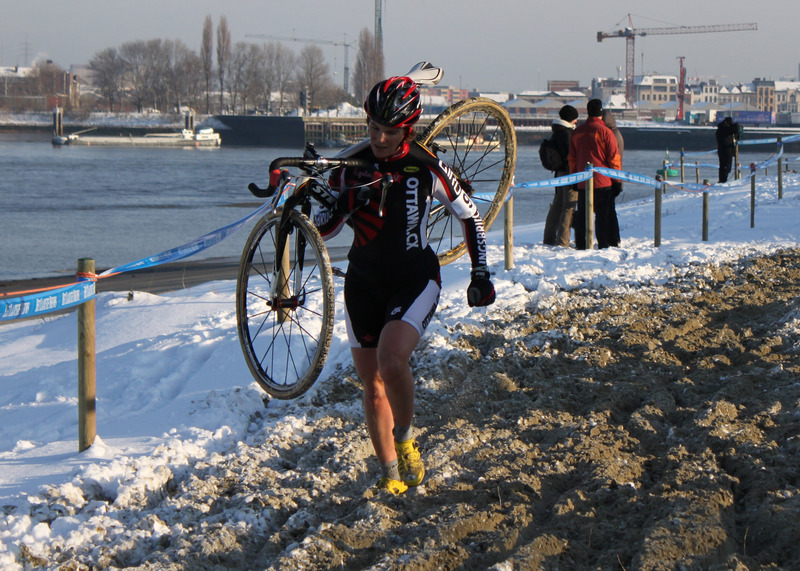 They had arrived in Antwerp on Thursday for some Christmas cyclo-cross racing. 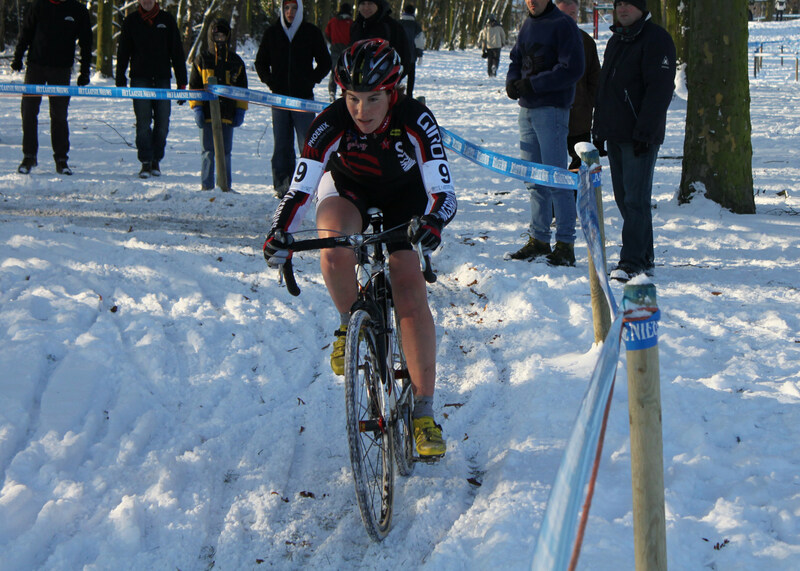 Scheldecross was their first Belgium ‘cross race. It was awesome to hear some friendly voices from home out there on the course. After watching a bit of the men’s race, we went over to Ken and Karl’s swank house in downtown Antwerp. We hung out with them and then Ken treated us to dinner at the Hippodrome. A pretty fabulous restaurant across from the Museum of Modern Art. Thanks Ken and Karl – we had a great night. Today was all about ‘cross racing again. As it should be! 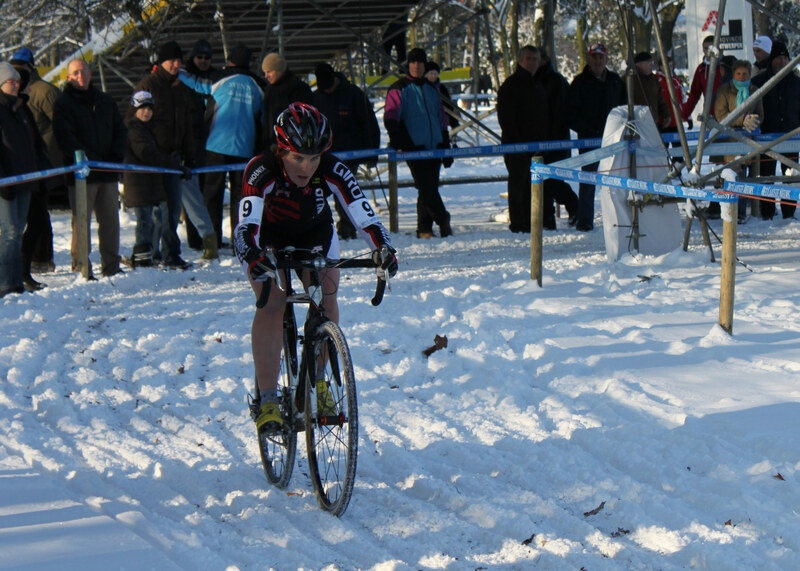 Marc raced in Lichtervelde this morning – so we took off bright and early to get to his race. A smooth drive and a warm cafe made it all easy peasy. Extra bonus was hooking up with our pal Rene Swinnen. We had been hoping to run into Rene earlier this season, but today it was. It was great to catch up with him and many thanks to his friend for helping me out with the pit today. 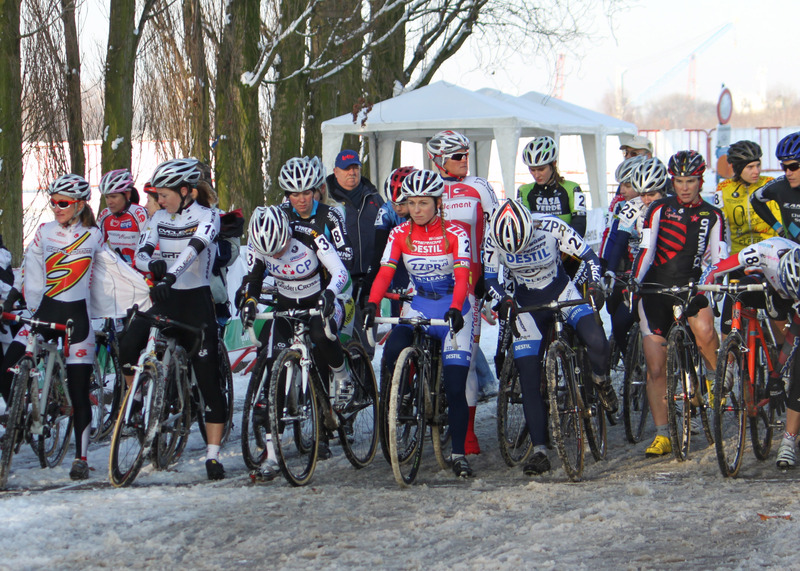 We also saw some of our other Belgian cyclo-cross friends. Always nice when people remember you and take the time to ask how you are doing. Really makes you feel comfortable and welcome. Marc had a good race and finished 7th! After his race we quickly hopped in the car and drove to Kalmthout. I needed to pre-ride the Kalmthout World Cup course and get my numbers. Made it there quite easily and immediately ran into more friends. Saw Rudy pedaling along the bicycle path – he looked cold! Then we saw Nikoline and Jacob (who are staying here) and then we saw Karl! Hung out with these guys for a bit – chatting and getting ready to ride. Rudy reminded me to remember my leg warmers for Sunday… No more bare legs in the -10 celsius! I did a couple laps with Karl – thanks for going so slowly Karl! Then I hooked up with Rudy for a few laps – he gave me some super good pointer and reminders. Then I rode with Marc for a lap and a bit. He helped me a lot with conquering one tricky fly-over. Then it was off to the number pick-up. On the way I bumped into Serge (my friend and mechanic at Koksijde) and then I caught up a bit with Geoff Proctor from the U.S. Crazy how many people you get to know over the years. Got the numbers and various passes with no trouble and then it was back home for bike cleaning, laundry, and food. We are leaving early tomorrow so that Marc can pit for Karl at his first Belgian race. I’m not complaining – I like to arrive nice and early. Gives me time to relax, talk to people and soak it all in. Have a good one. 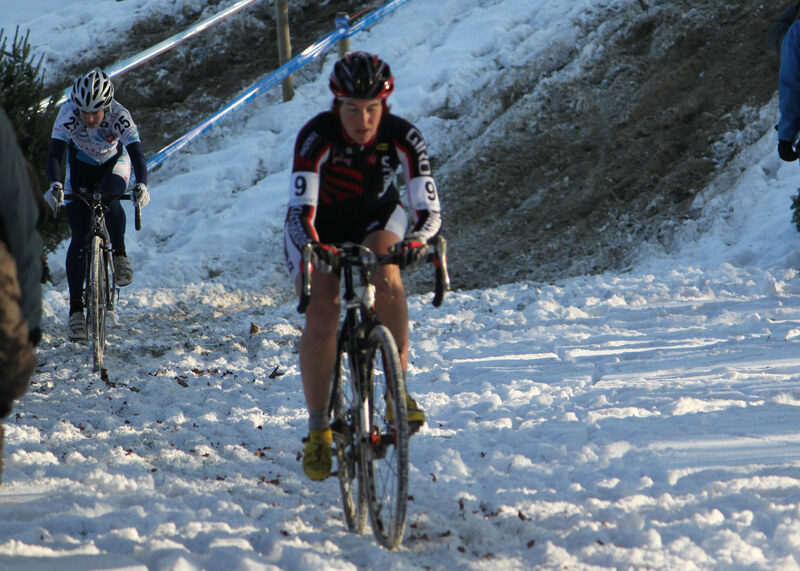 Check back tomorrow for a race report from the Kalmthout World Cup. More snow than we have!